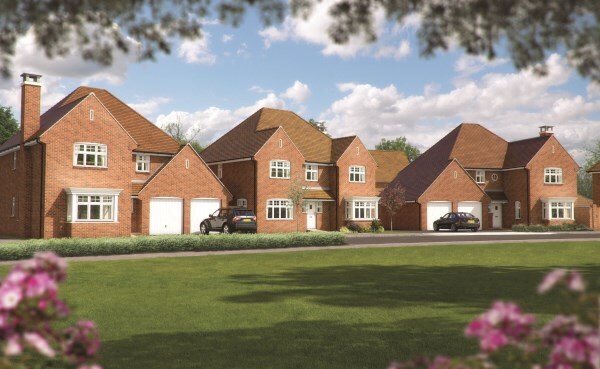 Homebuyers in Faygate, Horsham and Crawley are being invited to go along to the brand new show home opening at Kilnwood Vale this weekend - and make the most of a fantastic offer from Bovis Homes that could save them up to £15,000 on the purchase of a brand new home. They can visit the three bedroom Swift on 18th and 19th January between 10am and 5pm to find out how much more they could get for their money at this attractive new development. And anyone who reserves this weekend will get their stamp duty paid by Bovis Homes up to £15,000. The super new show home has a number of exciting features to interest prospective buyers including a fully fitted kitchen with integrated appliances and modern open plan kitchen / dining area. Meanwhile the master bedroom boasts an en suite and built-in wardrobe with stylish sliding doors, showing the quality of homes that will be available at Kilnwood Vale. Homebuyers have a choice of new homes, ranging from two to five bedroom properties, currently starting from £229,950 for a two bedroom home. Bovis Homes creates contemporary properties built to traditional standards and their all inclusive homes come with a 10-year NHBC warranty and two-year after care service. To help buyers in securing their new home at Kilnwood Vale, Bovis Homes offers a variety of purchase assistance schemes including low-deposit solutions such as Help to Buy and a stress-busting part exchange scheme called Home Exchange. For more information about these and this development please call the sales team on 07825112501 or visit www.bovishomes.co.uk.